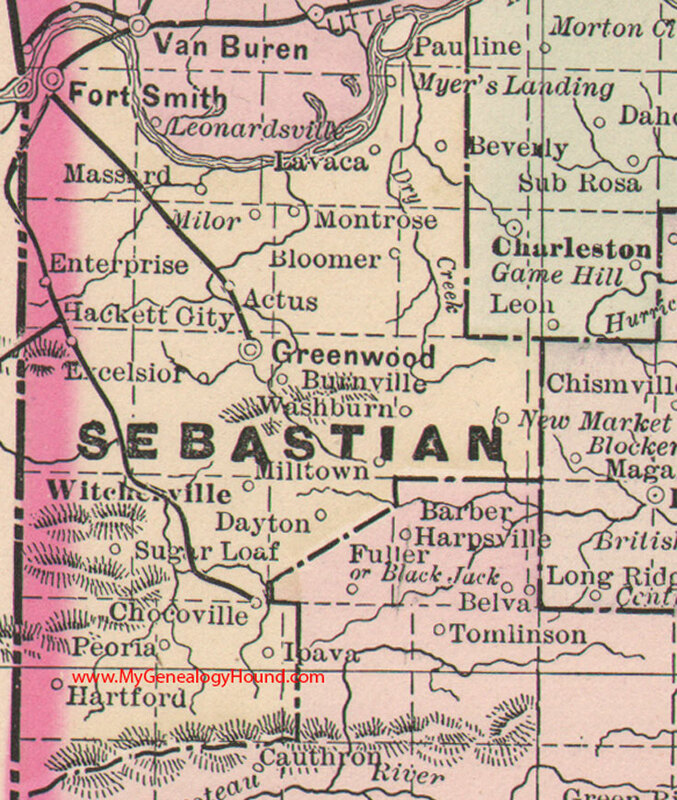 This is a portion of a Arkansas map published by Bradley, circa 1889. My Genealogy Hound is a free service of Hearthstone Legacy Publications. All contents of this website are copyright 2012-2013.